Feel confident knowing that your car is in our hands at Hazardville Motors! 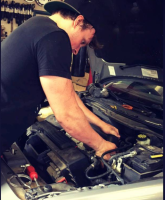 Our technicians take expertise to the next level by offering courteous and knowledgeable service to all of our customers.Hazardville Motors, is proud to be an authorized NAPA AutoCare Center. You can rest assured with peace of mind that your auto repairs are by the NAPA AutoCare Peace of Mind® Warranty. Using our state of the art diagnostic tools and knowledge we will get to the bottom of it! Make sure your getting the oil change you paid for! We make sure your car gets the oil & filter it needs as well as a fast visual inspection. Whether its recharging your AC system, exhaust leak, or making sure your car passes emissions. 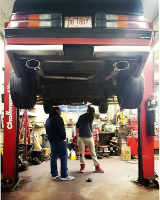 Our mechanics have the skills to do it all. Using up to date information we can provide the same maintenance the dealers recommend. Keeping your car on the road longer! Your safety is important to us! We will make sure your brakes will work when you need but we won't sell you something you don't need! If your car begins to shake or make noise we will sure your car rides smooth. Shocks, struts, ball joints, steering linkage, tie rods, sway bar links.